Branson visitors and residents catch plenty of fish on Table Rock, Taneycomo and Bull Shoals lakes, but they can also hook plenty of fresh seafood at one of Branson's sushi dining establishments. Whether you eat your sushi with chopsticks, a fork; deep fried or raw, Branson has several sushi restaurants for you to enjoy. Whether you prefer conservative Japanese fair such as the basic California roll or the deep-fried version, the Branson Roll, or you satisfy more exotic tastes with eel or yellow-fin tuna, Wakyoto is the place for you. Formerly known as Wasabi Japanese Steak and Sushi, Wakyoto Japanese Restaurant, located on West 76 Country Boulevard, was voted best sushi in town by TripAdvisor users. The Japanese infusion trend has come to Branson's West 76 Country Boulevard with Mitsu Neko's unique twist on sushi and Japanese food. Using only the freshest ingredients, Mitsu Neko Fusion Cuisine and Sushi Bar mixes delicious melodies of tastes and colors sure to delight diners' senses. Roman, the restaurant's owner and head sushi chef, holds a master's degree in Japanese studies and applies that knowledge to his traditional and signature rolls, as well as nigari selections. Sushi lovers on a budget will love Japanese cuisine at Branson's Sushi House, also located on West 76 Country Boulevard. The menu includes a variety of signature rolls featuring ingredients including crab, tuna, salmon and eel for less than $6 each. Diners who've built up an appetite will love the sushi-bar entrees, which include 10 or more pieces of sushi, as well as miso soup, for as little as $12. Lunch specials feature a choice of two rolls and miso soup for less than $7. 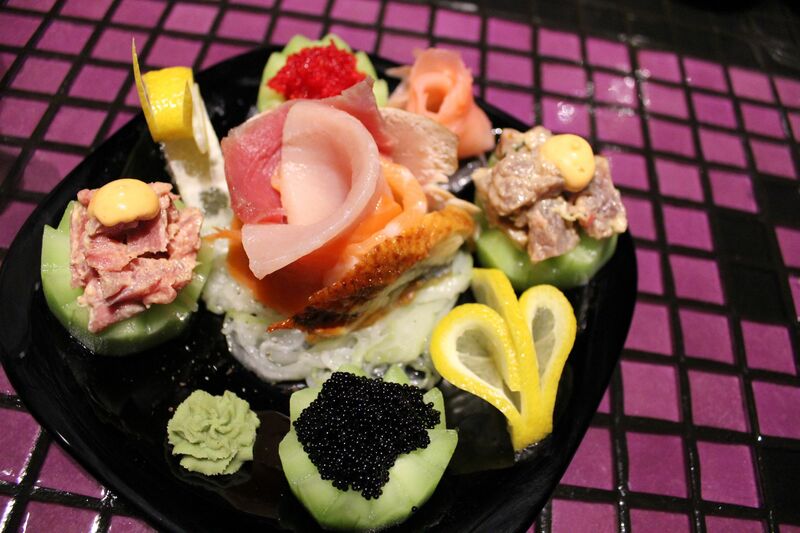 Head over to Falls Parkway and dine at Shogun Steakhouse for some of Branson's favorite sushi selections. Featuring Japanese fine dining, as well as entertaining hibachi cuisine, Shogun offers a menu full of nigari, rolls, cuisine and cocktails sure to please even the pickiest palate. Located in historic Downtown Branson, Mo Mo Sushi and Grill recently opened in the building previously occupied by Rocky's Italian Restaurant.